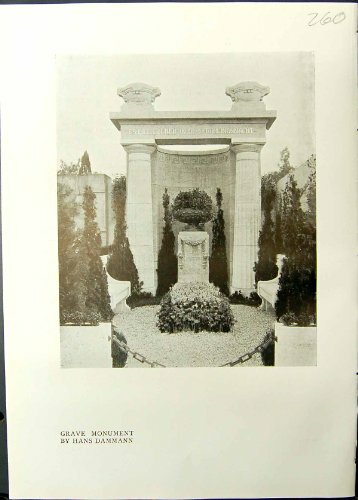 Old Original Antique Victorian Print Studio 1911 Grave Monument Hans Dammann Familie Hansen A black and white page and reverse taken from The Studio. An Illustrated Magazine of Fine & Applied Art dated 1911. Size of each page including margins as seen is approx 8 x 11 inches (200x280) We are selling these pages for the images not the text so the text may be incomplete.